We Are CLOSED from 03-16 Oct 2017 for holidays. Aquaponics is a combination of Hydroponics and Aquaculture (rearing of fresh water fish in a controlled environment). The waste from the fish is channelled to the crops. It is like a natural eco-system, where the waste of one organism is recycled to be feed for the next group of organisms. For food production, fresh water fish like tilapia can be raised and you'll have vegetables as well. For the past 20 years, We design, supply & set up custom build aquaponics equipment & system for the schools, homes or office. 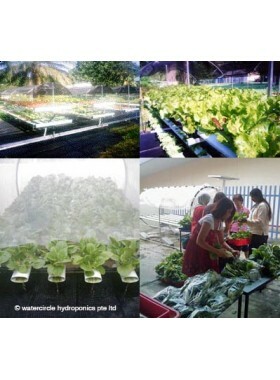 we also had experience producing, marketing and supply fresh aquaponics vegetable to local supermarkets in singapore. Please send us a email with information on your land, rooftop or expected yield etc, if you are interested to seek our consultation & services! happy farming! 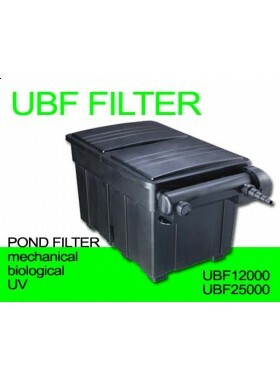 JEBAO UF POND FILTER WITH UV (LARGE CAPACITY) Mechanical, Large biological filter with UV ..